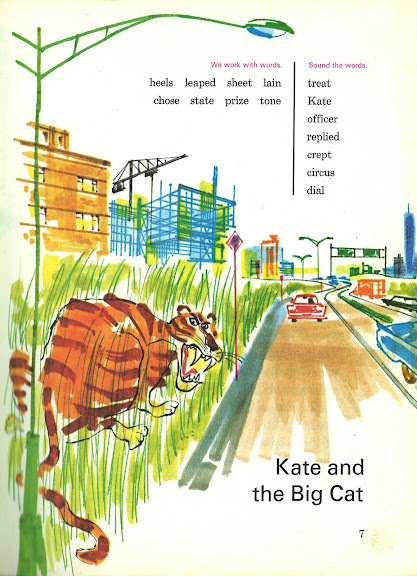 As promised, "Kate and the Big Cat" from "Air Pudding and Wind Sauce." 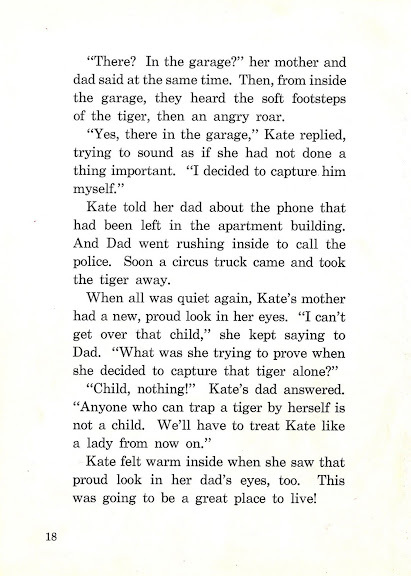 You may click on any image to enlarge. 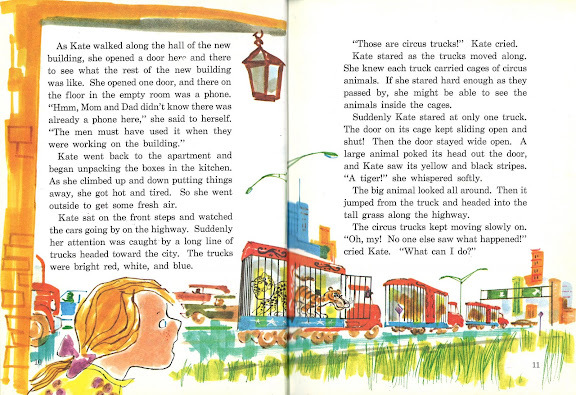 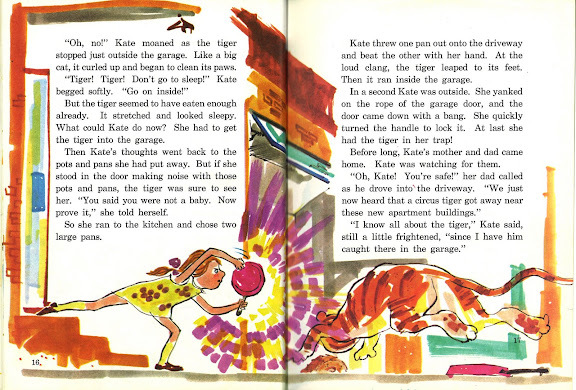 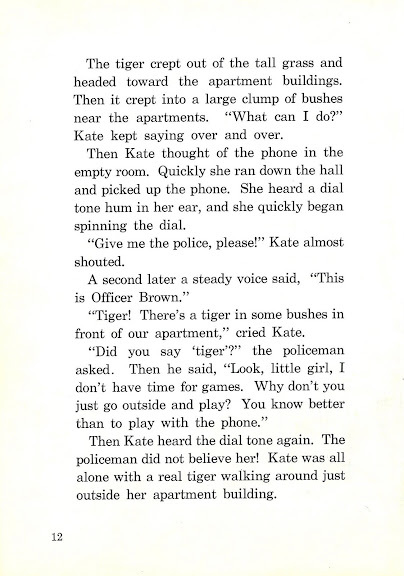 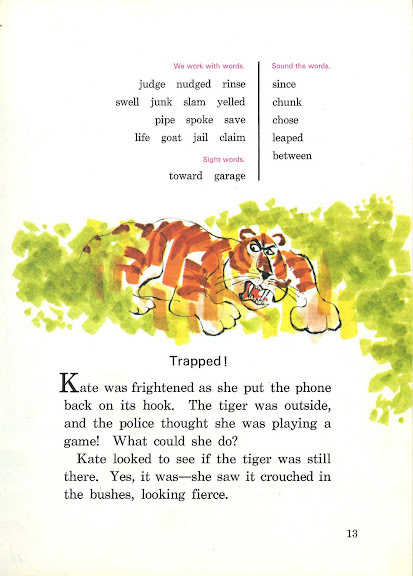 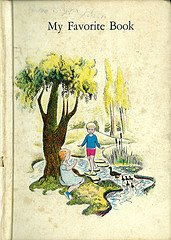 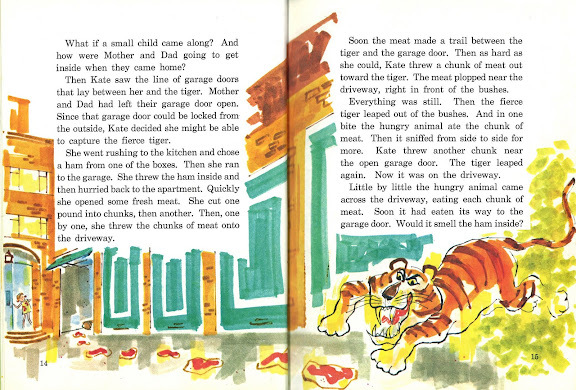 "Kate and the Big Cat" adapted from "Tiger in the Lake" by Edward Kurkul. 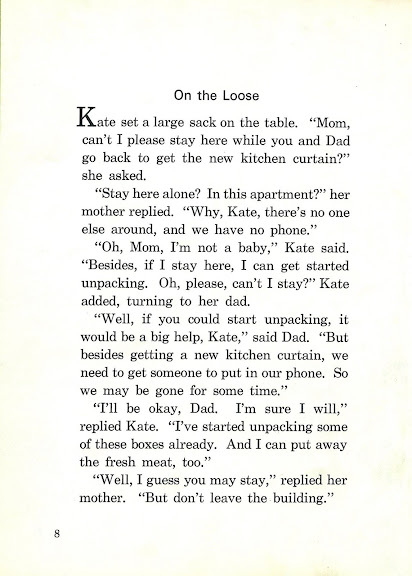 Adapted by permission from Jack and Jill Magazine. 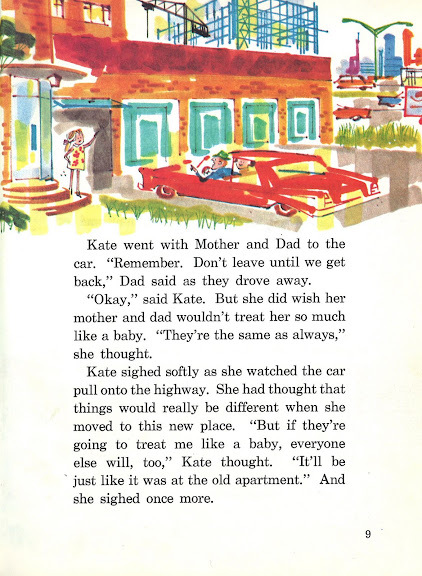 (c) 1964 The Curtis Publishing Company.